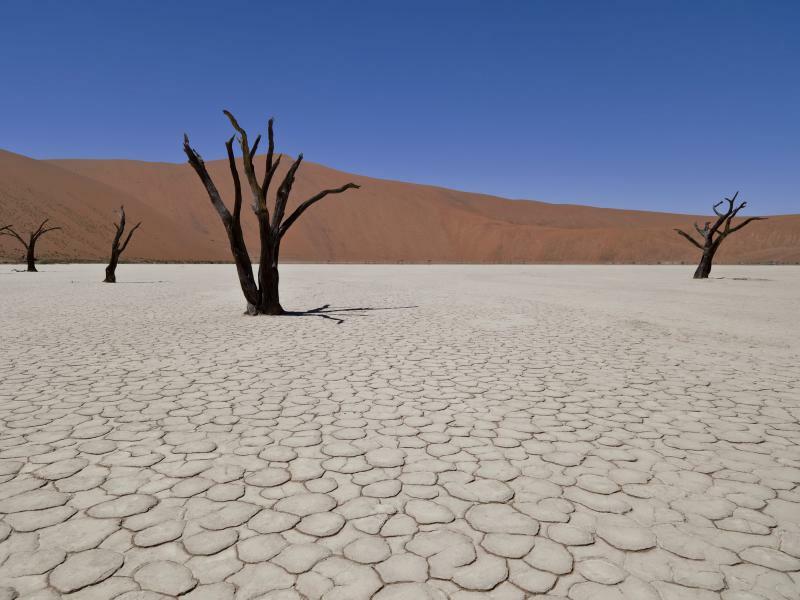 It is very dead indeed. 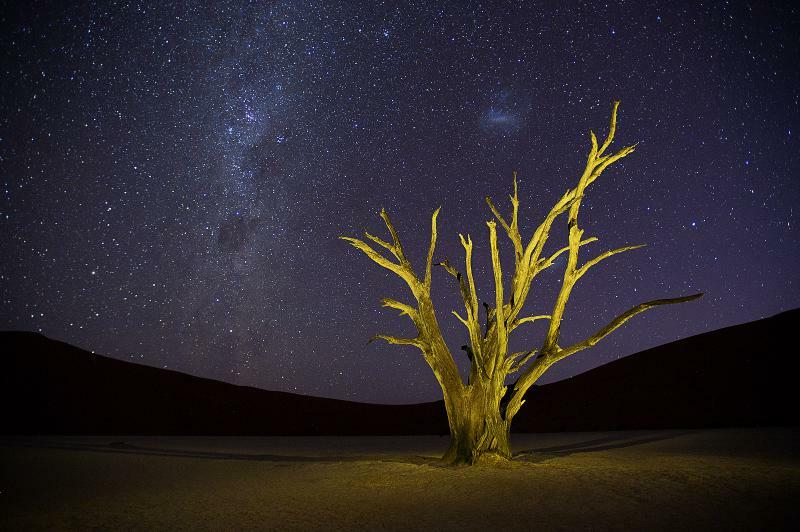 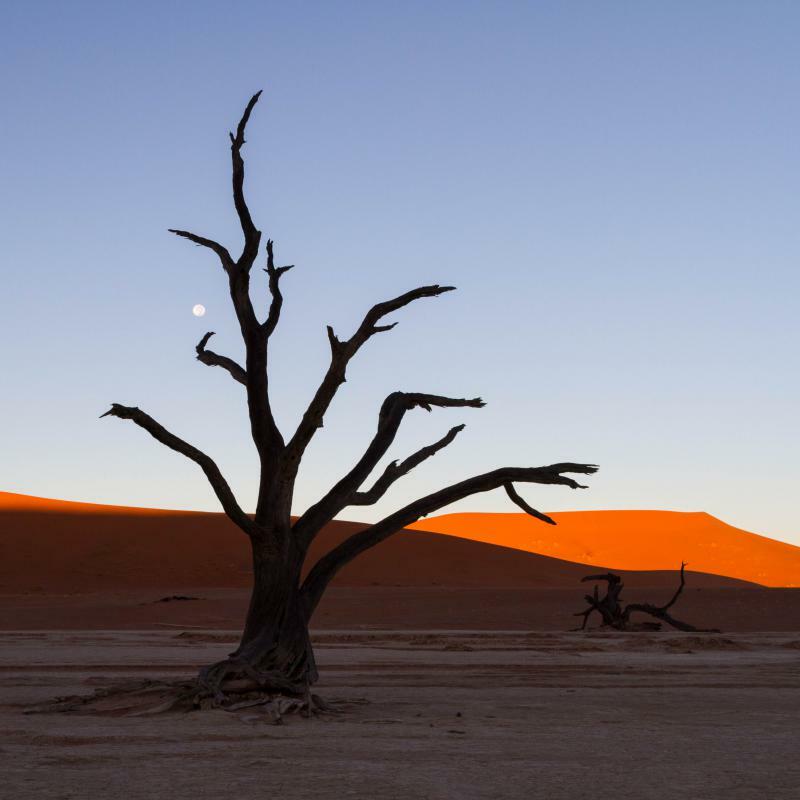 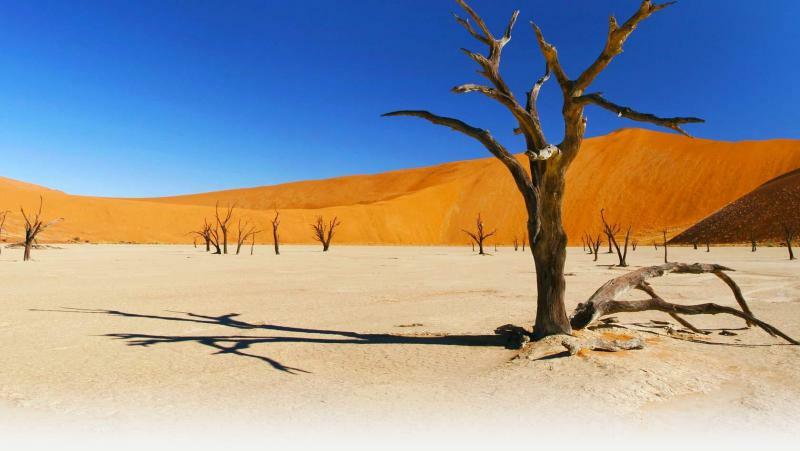 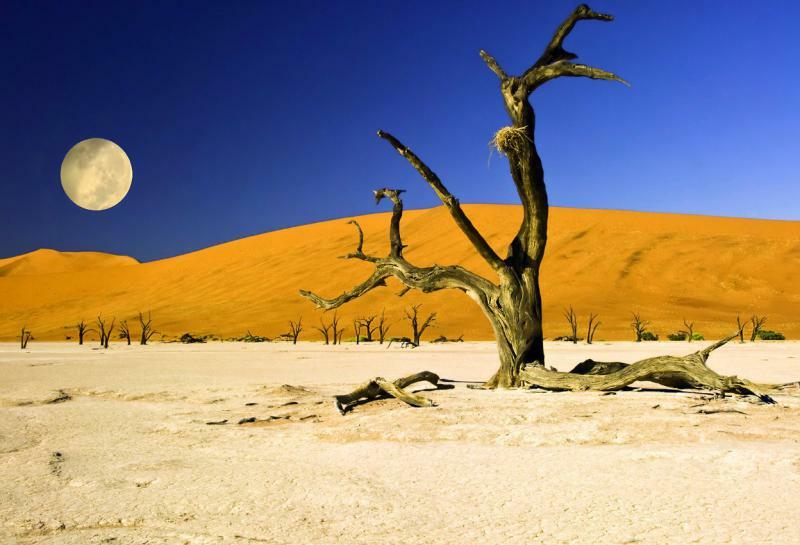 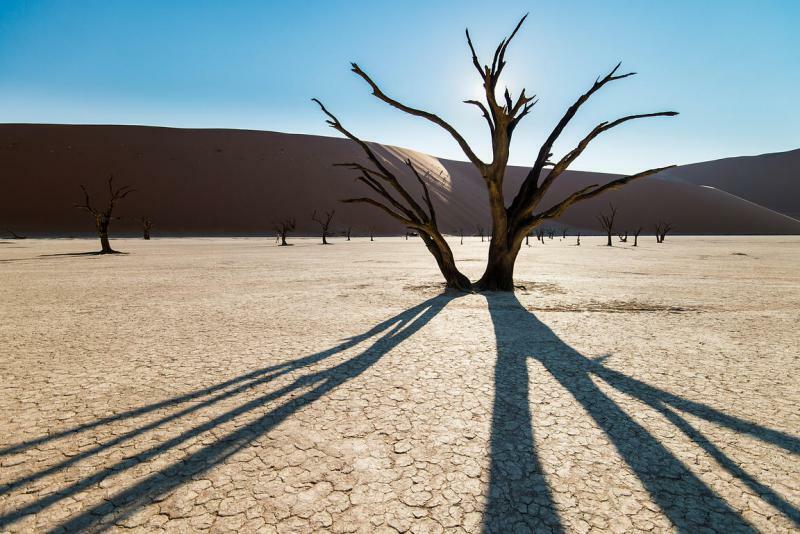 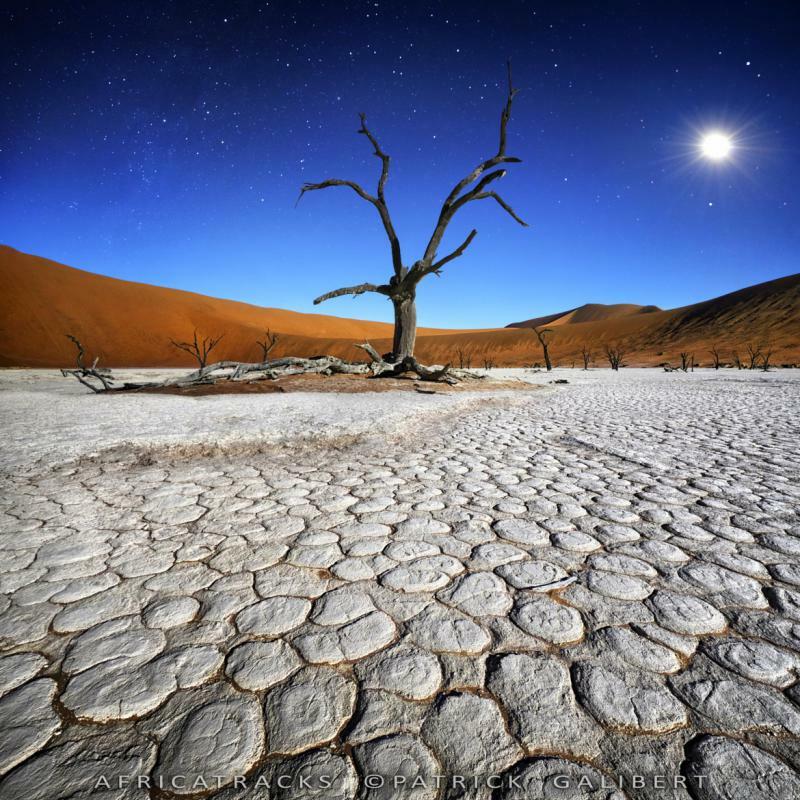 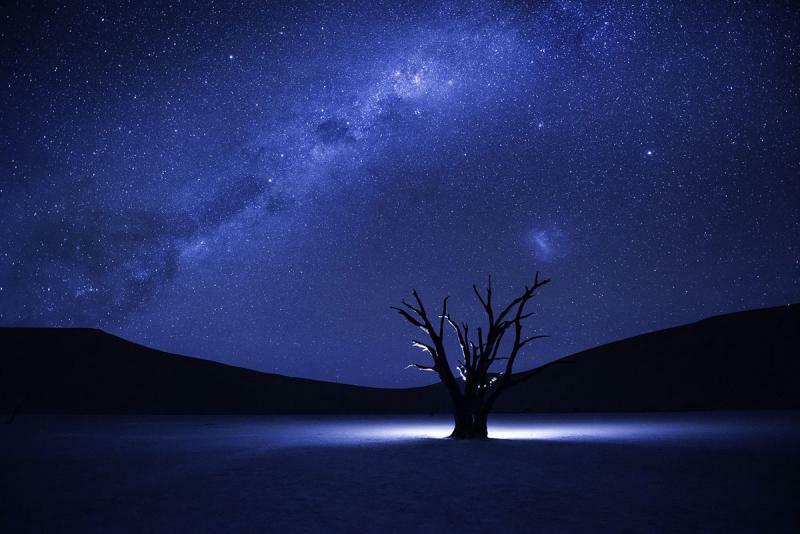 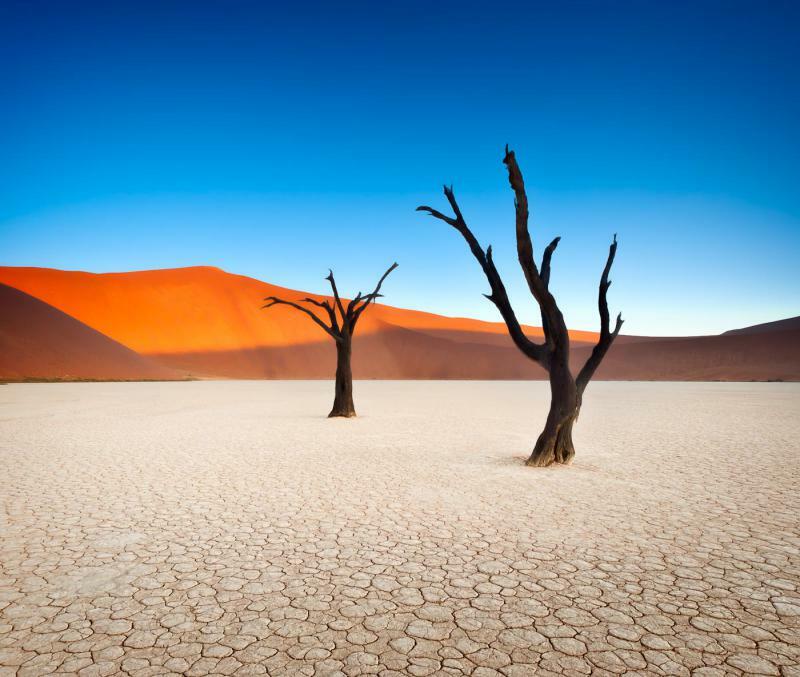 Deadvlei, Namibia, is a clay pan. 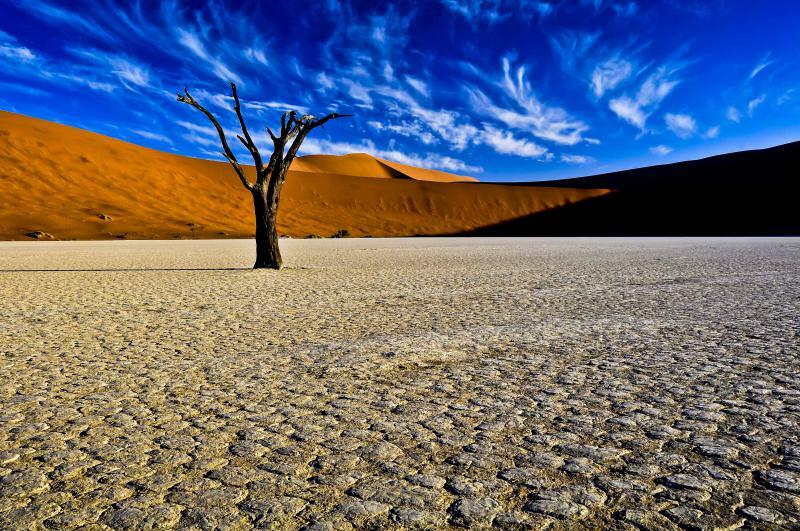 It formed when the nearby river filled up a depression in the ground, but it later dried out. 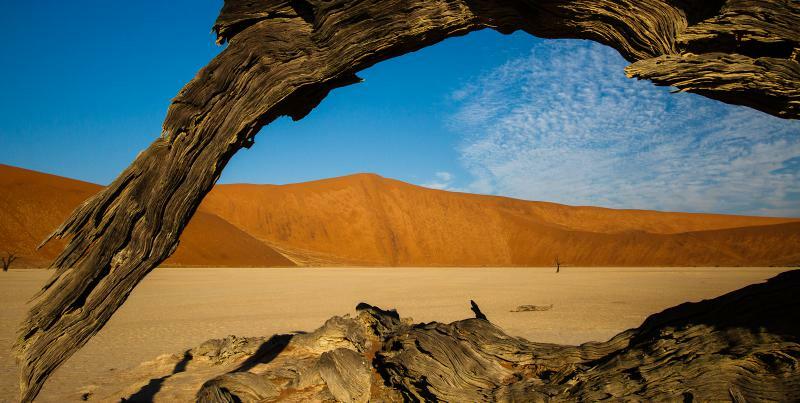 This created one of the most memorable landscapes in the world. 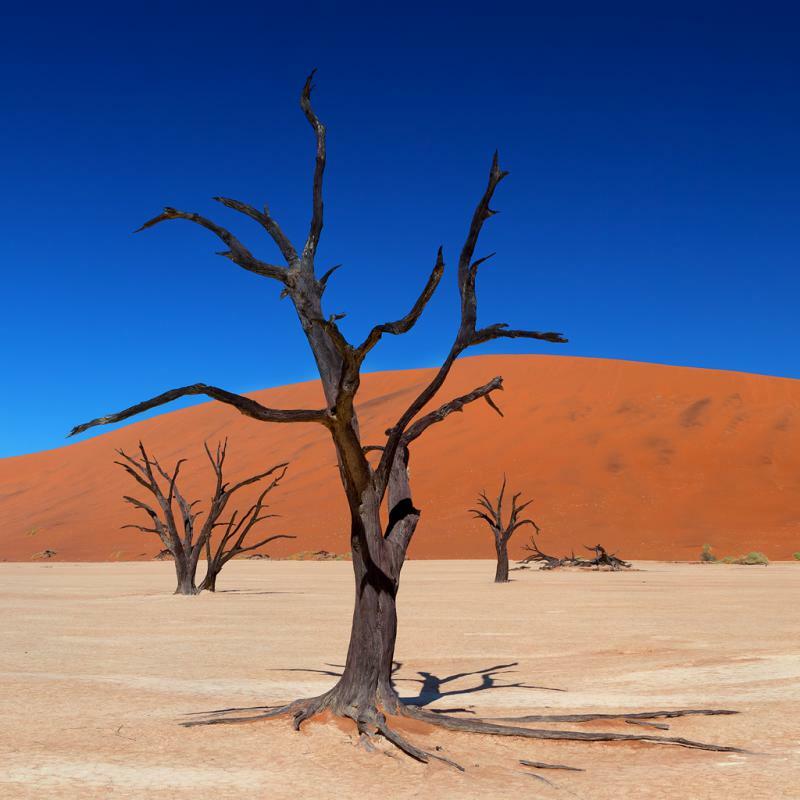 Trees used to grow there, now that it is completely dry they just sit above the ground, black and not decomposing because of the arid conditions. 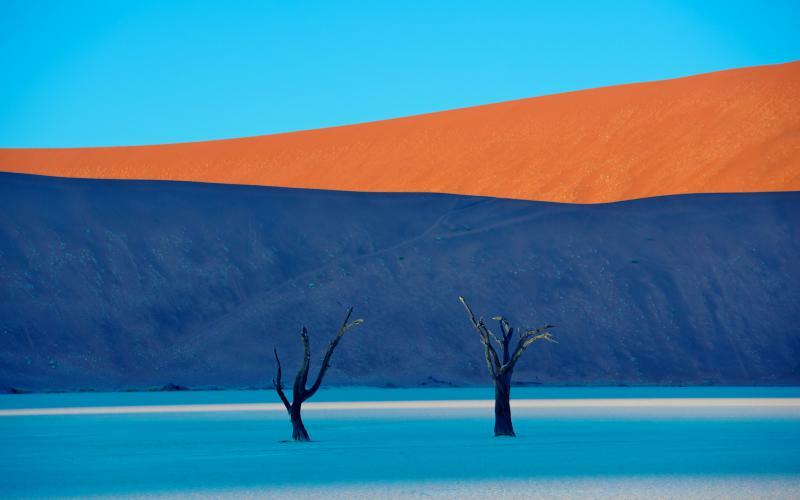 This, combined with the whiteness of the ground, redness of the surrounding dunes and the blue sky are used by photographers to make memorable, almost alien photos.